September 9, 2014 - On Tuesday the Dutch Safety Board (DSB) released its preliminary findings on Malaysia Airlines Flight MH17 that crashed in Ukraine killing all 282 passengers and 15 flight crew. General speculation at the time was that the Boeing 777-200 was brought down by a Soviet made medium range BUK surface-to-air missile. 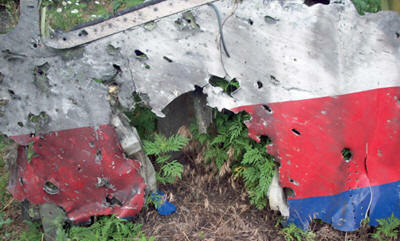 The report released by DSB indicates the aircraft was hit by an outside object. The report states the damage observed on the forward fuselage and cockpit section of the aircraft appears to indicate that there were impacts from a large number of high-energy objects from outside the aircraft. The report further states the pattern of damage observed in the forward fuselage and cockpit section of the aircraft was not consistent with the damage that would be expected from any known failure mode of the aircraft, its engines or systems. The fact that there were many pieces of aircraft structure distributed over a large area, indicated that the aircraft broke up in the air. Although DSB did not state that the a large number of high-energy objects that hit the aircraft was from a missile, this kind of damage, objects hitting the aircraft is indicative of shrapnel from an exploding warhead on a surface-to-air missile. 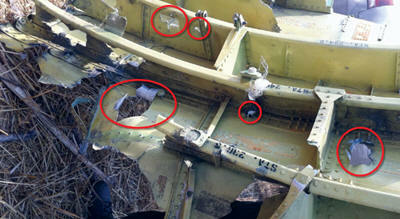 The damage observed in the forward section of the aircraft appears to indicate that the aircraft was penetrated by a large number of high-energy objects from outside the aircraft. It is likely that this damage resulted in a loss of structural integrity of the aircraft, leading to an in-flight break up. 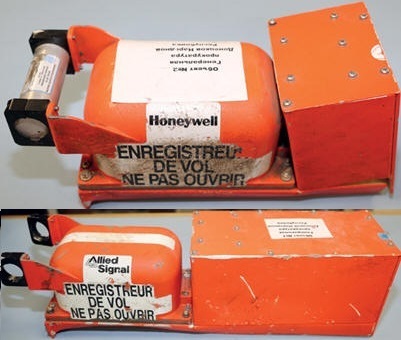 DSB retrieved the cockpit voice recorder (CVR) and the flight data recorder (FDR) from Flight MH17. In their initial findings they found no indications of any technical or operational issues with the aircraft or crew prior to the ending of the CVR and the FDR. On July 17, Flight MH17 departed Amsterdam Airport, Schiphol in the Netherlands at 10:31 AM, the aircraft climbed to 33,000 feet and was enroute to Kuala Lumpur International Airport in Malaysia. Over eastern Ukraine where Russian rebels were conducting military activities Flight MH17 broke up in the air and crashed. Data from the Flight Data Recorder and the Digital Cockpit Voice Recorder both stopped at 1:20 PM. No distress messages were received from Flight MH17. Ukraine and Western countries accuse the rebels of shooting down the Boeing 777-200 with an advanced, Russian-made missile (Report).